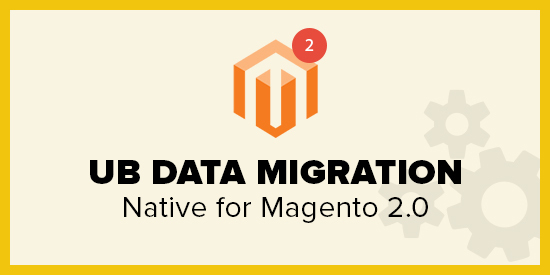 UB Data Migration Pro is a Magento 2 module that helps you effectively move your e-Commerce store data from Magento 1.x to Magento 2. Since Magento 2 comes with a brand new architecture and database design, the UB Data Migration Pro is a great starting point to ease your Magento data migration process, and saves you tons of work. 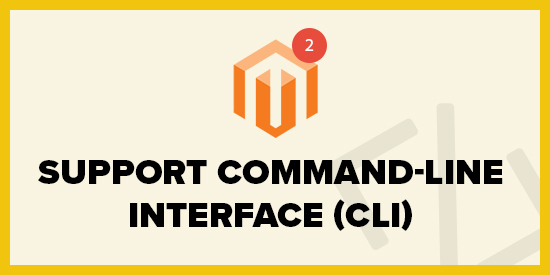 It provides the ability to port all your key products, customers, order data, store configurations etc., to Magento 2. Since UB Data Migration Pro deals with direct database to database migration only, other perspectives like extensions, themes or customisation would be a separated task and would be best handled by the extension/theme providers accordingly. We highly recommend you proceed database migration first. 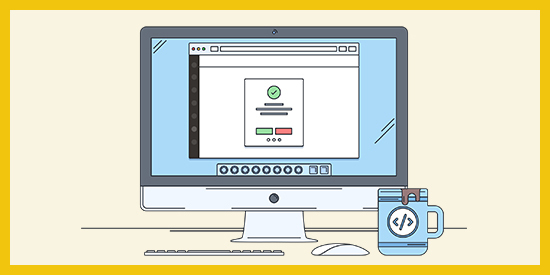 From there, you integrate your theme, extensions or customization (if any). NOTE: In case you use Magento CE 1.6.0.1 or older, you can upgrade your database to version 1.6.0.2 or later, then proceed migration from this newly upgraded instance. (NEW) Supports Command-Line Interface (CLI) commands: Allows to proceed migration steps using the command lines in CLI mode, after completing all pre-migration setting steps. Port important fields in Categories and Products, including meta description, page title, Url key, Url Rewrites. So your category and product pages SEO optimization remains reserved in Magento 2 once the migration process completes. Work seamlessly in both Nginx and Apache web servers. When Magento 2 becomes mainstream and generally available, moving your store to Magento 2 to take full advantage of this new platform is crucial. So this’s where the UB Data Migration Pro helps to automate such migration step with ease. (NEW) Easily define the scope of data you wish to migrate, for instance simply tick one store or all stores, specific categories or all categories etc., at your own choice. You can skip specific group of data and proceed migration in a separated step later on. 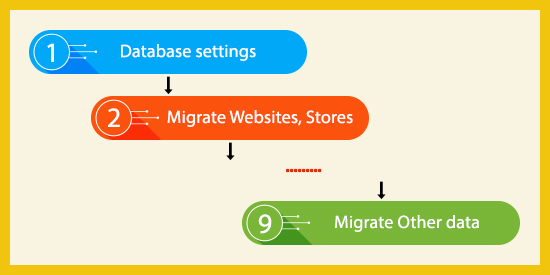 We try to keep UB Data Migration tool as simple to use as possible, with step by step visualised progress, even your Magento webmaster can handle the migration yourself. 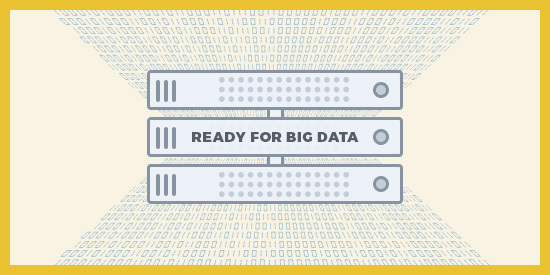 There are lots of aspects to big data migration — data integrity, delta migrations, multiple times migration possibility, performance and etc. For medium or large scale Magento stores, V3 does all technical heavy lifting for you. 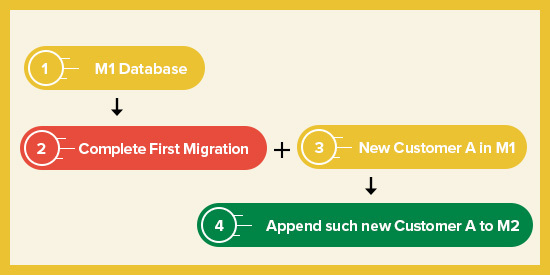 It allows you to transfer both new or modified data on your Magento 1 site (like new customers, new orders, new inventory or other customer-related data) that has been created since your last migration. You might find other tools that require the source and destination db to be on the same MySQL server. However, with our migration tool, the source and destination db could be from different MySQL servers. Allows to proceed migration steps using the command lines in Command-Line Interface (CLI) mode, after completing all pre-migration setting steps. This feature is handy if you have large-scale Magento stores. Magento 2 uses new technologies which differ from Magento 1.x, so it’s always a plus point to have a native migration tool for Magento 2.0. 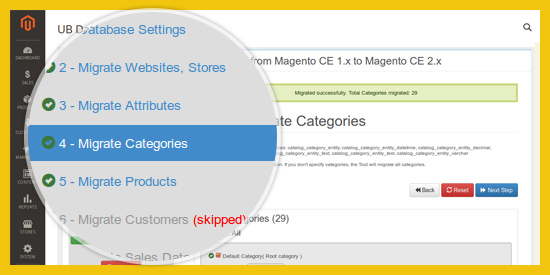 Once installed, simply follow migration step by step right in your Magento 2 admin panel. I am very satisfied with UB Data Migration Pro and UberThemes Technical support team, especially Mall, he was excellent! I have nothing else to say. Just incredible, amazing. Love the software, Love the tech team. I almost do not know where to start. We have had so much help from UberTheme that we simple can say that they are the best. We have migrated a store that does over 200 orders a day and has multi million orders in M1. This M1 had some major database problems and was changed in a very unprofessional way. Therefor we had nummeres problems migrating our data to M2. But over the past 6 months UberTheme has supported us and we are very very thankful. Personally speaking, I got the whole migration process covered using the UB Data Migration Pro extension. But it would be injustice if I don’t mention the support from UberTheme Customer Support Team. They have helped us a lot in getting rid of one main issue in custom customers attributes that was out of our boundaries. I appreciate every single effort the support team made. As a programmer, UB Data Migration Pro is worth the investment of time and money. It is easy to take significant migration steps at once. It is a tool which leads a developer to focus on developing other Magento 2 extensions and let the rest of the migration process on UberTheme Data Migration Pro. Hi now i tryed all avaliable modules to migrate from magento 1 to magento 2. This extension is absolutely the best!!!!!!!!! Forget spend time with magento comunity migration tool or some other extensions with “L”. This is the only extension that realy works!!!! THANK YOU UBERTHEME Team. you made my day. I am very satisfied with UB Data Migration Pro and UberThemes Technichal support team, especially Mall, he was excellent! I have nothing else to say, just incredible, amazing. Love the software, love the tech team. From the start, I want to tell you that I am not a programmer, I am just a Magento user, normal one. I bought your extension because i had a bad experience upgrading from Magento 1.8 to 1.9 with the “help” of a programmer. From that moment I start to search on the internet for a extension like yours. What I can say, it is working as you described, simple just connect the database and after that just push next, next. Your extension helped me save a lot of money ……and nights:). He worked so smooth that I can even remember that I used, the transition from Magento 1.9 to 2.2.1 was so “without problems”. Even the guys from my hosting company told me that I can not migrate from Magento 1 to Magento 2 without the help of a programmer….. but I proved them to be mistaken. Your migration extension has helped me a lot. Simple and well explained. All data has been transferred. Your UB Data Migration extension did the job perfectly. I didn’t face any issues. It’s easy to use, clean and cleat panel. The volume of our migrated data was 5,984 Products, 1,061 Customers. Working now on updating theme and other extensions. If I face any issue with the transferred data, I will let you know. I am extremely satisfied. Amazing tool, and extraordinary support. Keep it up that way ! I have used the tool and migration went brilliantly… using delta to sync the changes after migration is an excellent feature too. Support was great when we initially hit a problem but that was resolved very quickly, so over all a great product and great after sales support too. The sync worked well with no major issues. It was easy to setup and deploy. The migration saved hours and days of work. It did what it was supposed to as advertised. We’re very thankful that this extension exists. We were fighting through a complicated migration with extension collisions causing lots of errors to crop up. We began looking for an alternative to the base Magento 2 tool and found this. It worked like a charm. We migrated ~1700 customers, ~4000 orders, and ~350 products along with a bunch of other data. This did take some time, but the process allowed me to sit back and allow the progress bar to report it’s own success. Everything migrated successfully on the first try, which which was very welcome after coming from the Magento 2 migration tool. Installation was easy, migration options were comprehensive, and the price downright cheap for the amount of effort we saved. Well worth the money. The sync worked well with no major issues. It was easy to setup and deploy. The migration saved hours and days of work. And it did what it was supposed to as advertised. The Ubertheme team was one of the best teams we ever worked with regarding magento2. They fixed every problem in most of the time minutes and not days. Also they provide an outstanding overall service. If you plan a migration from M1 to M2 – go with them. There is no other real alternative. I am very satisfied with UB Data Migration Pro. It allowed to migrate from Magento 1.7 to Magento 2 in very short time, I experienced no problems in Magento 2 with our data. I have no suggestions to make, as our project of migrating is successfully finished and we are running Magento 2 now for several months without looking back. I knew I had to move this old 1.7 Magento to the new v2 but put off the job for a long time due to the fact there seemed to be no way to migrate everything. Magento seemed content to make companies start over without all their sales history. When I found UB Data Migration Pro I still didn’t think it would be easy, but it was. It worked brilliantly, aided by excellent user guides (both video and written) and the only thing I had to do at the end was adjust the auto-increment settings to make sure things like order numbers continued from where the old store left off. This would be one suggestion to add to the end of the user guide, but otherwise it was excellent. As a general point, I don’t like working with Magento, I find it a real pain and overly complicated. Working with UB Data Migration Pro was a pleasure by comparison! We had about 40,000 orders and about 2,000 products. There were a lot of issues with the migration but we got good support from you. Overall I am quite satisfied with your migration tool. I am satisfied with data migration process. I had faced data migration errors because of wrong entries in database tables. I got help from support and came to know which entries were causing errors. Overall very happy and satisfied. 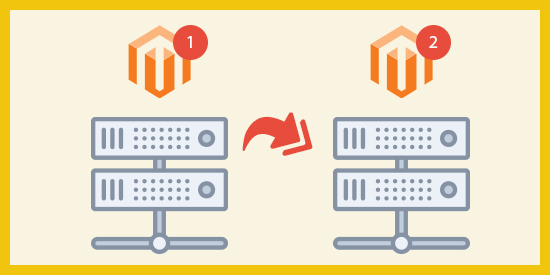 Takes a huge amount of pain out of upgrading to Magento 2 and when the odd issue arises (for instance database problems with Magento 1) then the support staff are there to help. The delta sync is particularly useful when trying to do a redesign at the same time as upgrading Magento 1 as you can migrate only new and changed information since the last sync! Can’t recommend highly enough, not cheap but easily saves money when you consider potential man hours for a manual upgrade. Also, if you’re not too technical but wish to keep an upgrade in house this makes things a lot simpler, and no doubt saves a pile of money a developer would have taken. Your tool worked flawlessly. Considering we have 3,000+ SKU’s I was impressed how easily it imported everything all the way down to historic sales data. It’s definitely a tool I’d recommend to others. UB Data Migration Pro is a nice tool and meets our requirements. It needed some special fixes, but the technical staff provides them quickly and solve any problem that we found. I’d like to thank you very much for your extension UB Data Migration Pro. I was fighting with correct data migration from Magento 1 to Magento 2 for weeks and found some annoying bugs in the datamigration module of Magento itself. But your extension UB Data Migration Pro is well worth the 400$ I paid for it. Problems were solved within a working day. And your support is very responsive. I had a question and got an answer almost instantly. In the end, the problem was not with your extension but with server side settings, so I feel a little bit sorry to have bothered your support, but I like the very fast response to my problem. UB provided us a great support, due mainly to Nginx and some server security problems. I received always a really fast answer to all my questions. The migration is completely finished now with more than 14’000 products. I did the product import in CLI, with a 200 limit to avoid any timeouts. That worked fine. The migration was completed successfully, 8,000 products and 3,000 customers. It saved us a tonne of time. Without UB Migration I’m not sure how we would have handled the transfer. One tip I’d leave for others is to change “Stores->Settings->Configuration->Advanced->Admin->Security->Admin Session Lifetime” to a big number, otherwise the migration might keep timing out. Besides that though, everything was smooth sailing! We used UB Data Migration Pro tool for one of our client which has very complex website structure, multiple attribute sets, multi-store views, thousands of products & customers and 5 years of sales data. The requirement was to export everything from Magento 1.9 to Magento 2.1.4. With UB Data migration tool we imported all the stores, attributes, products, customers and sales data. Everything has been successfully imported to Magneto 2.1.4 without doing any modification to code and MySql data. This tool save us a lot of time and efforts, most of all I love the support provided by UberTheme specially Mall, a great person, whenever we had a problem he gave very precise solution and that worked like a charm. Great tool & great company. Thanks UberTheme! We actually run our Magento platforms in a shared environment, and they function very well. However the migration is extremely challenging when the developer does not have admin privileges. The UB Data Migration tool handles the migration without having to change server settings, making it the obvious choice for developers who want a one-click solution. We did have a few small issues with the migrated attribute sets, and products not appearing as we expected. But that was more to do with the Magento installation configuration, and UB fixed this for us. The extension is well worth the investment. When development time and production deadlines do not allow for a manual migration, this tool is worth every penny. After solving some special issues with your support (which was somewhat tedious but successful) it worked like a charm. Our Problem was: We didn’t want to migrate websites, shops, products because we startet the new shop from the scratch with different categorie- and product-structure. To transfer the customers and assign them to the new generated and not migrated website/shop we had to do some sql-stuff directly in the database. We migrated about 1000 customers. We needed to transfer as much as possible from the old Magento 1.8 store. Client/Order data (loads of it) and all 230,000 products. Got it all covered in one extension. I’d like to thank An and Mall from Ubertheme team for helping me with the huge amount of data migration. I appreciated every response. For me as a programmer it was worth the investment of time. It gave me more joy, by making bigger steps at once. We could focus at developing client specific modules and let the import rest on UberTheme Data Migration Pro Module. I was able to import the products. Thank you so much for going the extra mile and helping me with all the issues I was having I really appreciate it. I have worked with many other extension developers and I have to say you guys have one of the best services 5 out 5. This is an amazing extension! Super easy to use, fast, precise, hassel free. Then I go inside the magento backend. setup the database credentials and start importing. within 15 minutes a huge database is imported. We had used some other extensions before for a little while which put some prefixes in front of some of my invoice numbers causing it not possible to import, and the extension actually tells me that so i can remember what happened before. I created a ticket with Ubertheme team, and they responded in a couple of hours time – GREAT JOB #2 fast customer service. This guy whos name is An Nguyen came in and emailed me a customized file for me to place into the UB Data Migration Pro installation folder on my server. explained to me on how to do it precisely and i followed that. In a blink of an eye, the problem solved. Custom changed irregular magento invoice numbers imported successfully. Great Job # 3 – precise highest level professional support, right on the point, no hassel, no waiting. these guys are amazing. I am a store owner, making cashmere sweaters for life. Everyday I think about how to make my products better everyday. And my business grow everywhere I go. With Ubertheme having such an amazing product and amazing team, they are definitely the goto guys for your data migration. DO NOT GO anywhere else to shop for your data migration extension and waste your valueable time. Grab UB Data Migration Pro V3.0.0 for your magento 1-2 data migration now. I love you guys, Ubertheme Team! Great job! I am very impressed with the product. You have done a very amazing job & reduced lot of my work. Can’t thank you enough. I have been using the extension to successfully upgrade from M1 to M2. There were some error/notice messages, which I then consulted to your support team and it had been resolved. Thanks! We used the Data Migration tool to the utmost satisfaction on a client project. We didn’t experience any problems or errors. Thank you very much and keep up the excellent work! The extension worked great – I spent about 10 hours working through data issues about 75% of the way through using the Magento data-migration-tool and was losing steam. I bought your extension on the hopes of having a different result and although it didn’t work right out of the box your support team was so quick to respond to questions that within a few rounds of emails I had all the data migrated over. Then I needed to update the data and that was incredibly easy with your setup – just reset and then migrate again. It was a much faster process than any data migration tool I’ve used before and it seemed to get everything without anything lost. Very impressed. Very fast for every part of the process. Really cool, few instructions more would have made easier. I think the only thing which it did not do is import the page blocks which would then be perfect. Great extension. We had 13000+ products with group pricing and everything migrated with ease. In love with UB Data Migration Pro? UB Data Migration Pro is packed in the following Magento themes. FREE signup to access premium Magento themes with UB Data Migration Pro packed-in.